It’s a bright, colourful world out there – only limited to your imagination. With the latest in Roland digital printing technology we can produce vibrant digital prints and PVC banners for your business or promotional event. 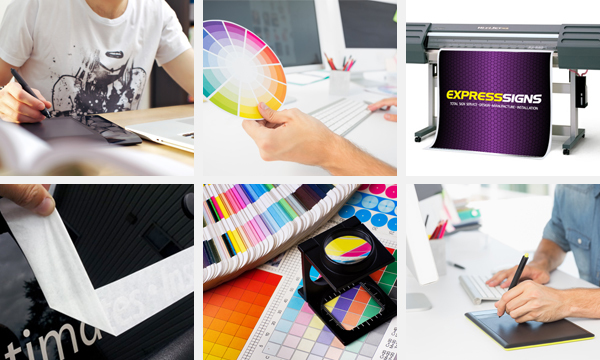 Wide format digital printing opens the door for printing onto nearly all substrates for photos, stickers, labels etc. We can just about “Sign” anything! 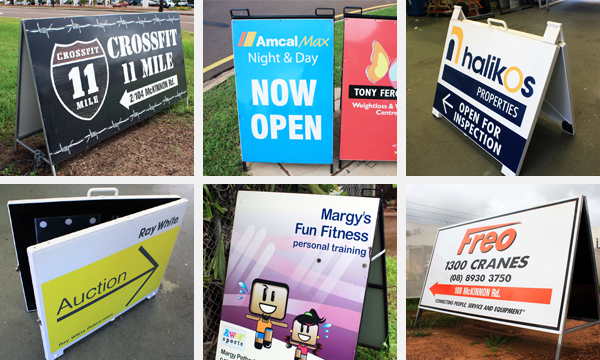 “A Business with no sign, is a sign of no Business” We can help you establish a long lasting and credible image for your business. Full shopfronts including window signage, digitally printed oneway vision film and window frosting. Digitally printed PVC banners with rope and eyelets incorporating full colour images are now more affordable than ever. Available in any size that suits your requirements. Another form of promotional and advertising banners is the retractable display banner where the banner retracts to its own housing. 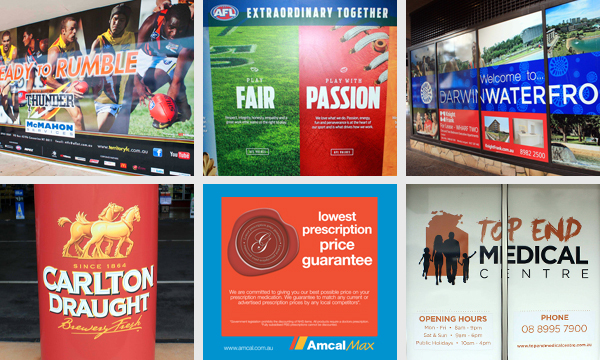 These banners are ideal for indoor promotions and are lightweight and easily transported. Double side A frame signs “The quiet salesman” are also available in a variety of sizes. 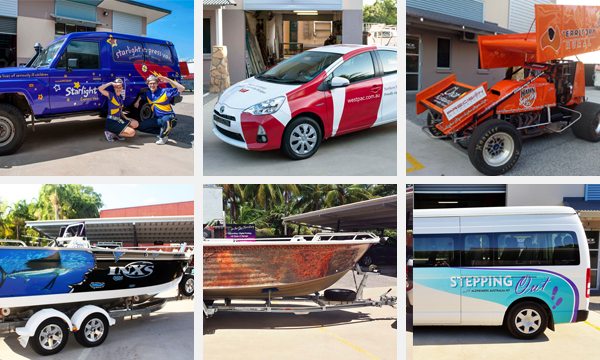 Eye catching vehicle graphics can become a mobile sign for your business and announce your arrival at a site. We also cater for fleet signage and company branding. Boat graphics / digital wraps are not only eye catching but also can promote your business or sponsors in your next Tournament. They also protect your investment from the “on the water” environment. 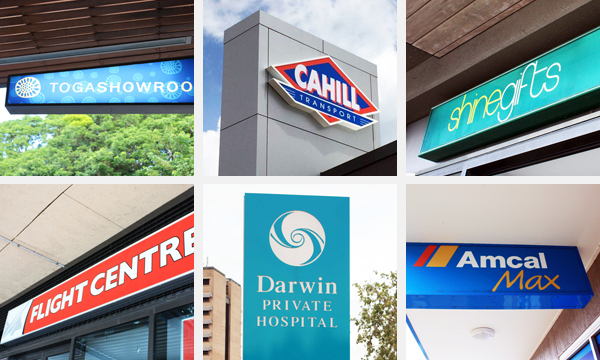 These signs are manufactured from aluminium or steel with acrylic faces, internally illuminated with fluorescent tubes or more commonly LED lighting. Graphics are applied to the translucent faces including digitally printed images. Applications include internal signs, menu boards displaying images of food right up to large pylon signs on roadways. With some signage projects it is hard to categorise them under a heading. 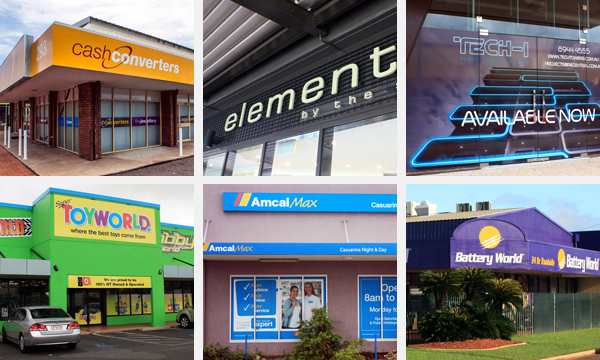 Our customers’ needs are varied and sometimes the signage service provided undertakes special requirements. This may include wayfinding signage in Hospitals / Shopping Centres / Schools, Braille signage for the handicapped, right through to Safety / OHS signage at Construction and Mining sites. Our experienced team is available for on site meetings to assist in Project Management. 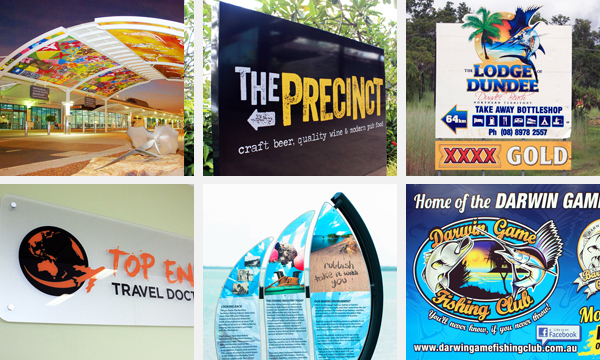 With the latest in computer graphic software combined with a team of graphic designers and signwriters, we can design your company logo through to full colour layouts of your next signage project. Efficient and friendly service is only a small part of our design capabilities.